All TWIN SISTER ESTATES homes currently listed for sale in Spring Branch as of 04/20/2019 are shown below. You can change the search criteria at any time by pressing the 'Change Search' button below. "Fresh country air surrounds this lovely stone hill country home nestled in the hills and surrounded by the Twin Sisters Peaks. 2.91 acres of unrestricted land with views of the hill country. This 3 bedroom, 2 bath home also includes an office with plenty of natural light, an oversized 2 car garage, a barn, many mature oak trees and privacy you'd enjoy. Water comes from a well. Home is on a septic system. The homesite has many sections with fence and several water and electric hook ups. 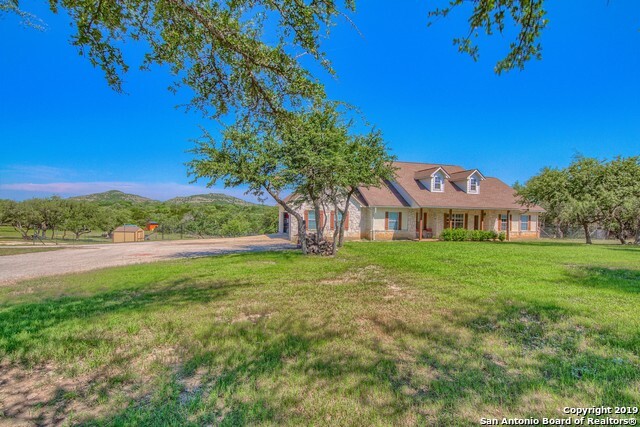 Bring you"
"Texas Hill Country Barndominium Style home with Hill Country Views. Enjoy the Sights and Sounds of Nature from Your Covered Patio in the Back. Property features a 1250 sq foot barn. Easy access to US 281. Close to Canyon Lake, Johnson City, Kendal County and San Antonio. Unrestricted."